Will Chile's enduring status as LatAm's most attractive jurisdiction be threatened in coming years? Could Chile's longstanding position as Latin America's most attractive mining jurisdiction be under threat over the coming years? We've spent the last three months researching this exact question and some of our conclusions may make uncomfortable reading for industry investors. The upside is that the short-term outlook is positive. Chile's copper reserves - by far the largest in the world - are supported by decent infrastructure, a skilled labour force, and a strong legal framework. And, since the election of Sebastián Piñera in 2017, the administration has also pushed a raft of pro-business reforms that seek to lighten the bureaucratic load and reduce mining project delays. The medium to long-term view could well take the shine off investor sentiment though. 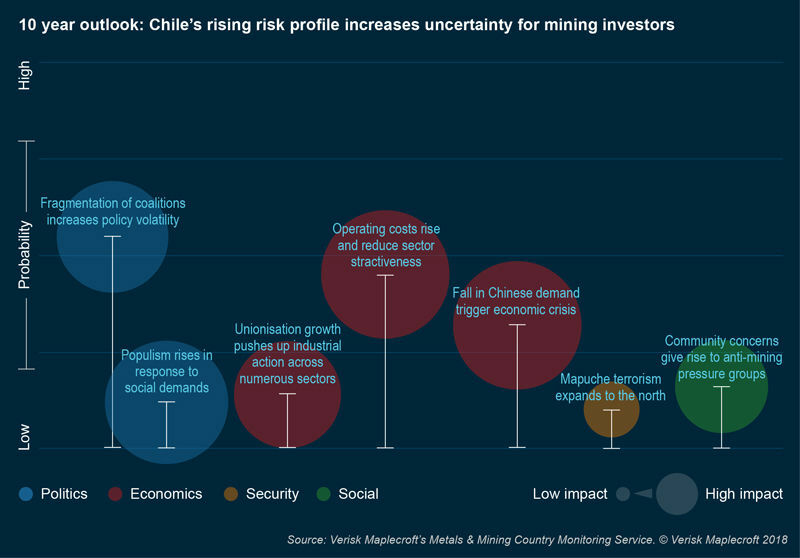 Our new Chile Mining Risk Report has identified possible headwinds that have the potential to undermine Chile's attractiveness over the coming decade. Chief among these for existing operations are declining ore grades, escalating input costs, and a growing risk of industrial action. But, new projects are also likely to face significant challenges thanks to the tightening of social and environmental regulations by previous administrations, which were enacted to assuage growing popular concern over the impact of the industry. These problems are likely to intensify as Chile's political landscape becomes more complicated. According to our report's 10-year forecast, the coalitions that have controlled government and dominated the legislature since 1990 will splinter into an increasingly large number of smaller parties and electoral alliances. The resulting fragmentation and diversification of the political landscape will raise the risk of policy uncertainty by giving greater leverage to parties at the more extreme ends of the political spectrum. Existing operators' margins are being eroded by declining ore quality, compliance with ever stricter permitting requirements, and rising input costs (including water, power, and salaries). As ore grades decline, costs per tonne will increase and some operators will need to invest more in capex to sustain future output. In addition, new mining projects appear to be struggling to get off the ground, with permitting hurdles reported to be holding up around USD65 billion worth of investment. For example, some projects require more than 500 separate permits. Within these, nearly 150 permits relate to public health and a further 100 to land use and soil quality, showcasing the relatively onerous nature of the current framework. Meanwhile, the cost deflation experienced since 2012 is decidedly over, reducing the profitability of existing projects and the attractiveness of potential ones. According to the Chilean Copper Commission's (Cochilco) Cost Observatory, cash costs rose by 6.9% year-on-year in 2017 - from 130.9 USD cents per lb of copper to 139.9 USD cents. This is in a context in which operators are having to invest in costly solutions to address Chile's aridity, lack of hydrocarbon resources, and limited pipeline of major new power generating plants - including through the development of desalination plants and renewable energy projects. It is almost certain that 2018 will see an increase in mine production - following major industrial action at Escondida and the severe flooding that disrupted other operations in 2017. However, a significant number of labour contracts are due for renewal in 2018, raising the risk of further strikes and supply disruptions. In 2017, supply disruptions helped drive copper's price recovery; in 2018, global demand underpins the (broadly) positive price outlook. Nonetheless, copper supply from Chile could remain volatile because of further strike action. Price fluctuations are likely to be fuelled by other external factors, not least erratic US trade policy announcements, which have underpinned the most recent drop in the copper price. 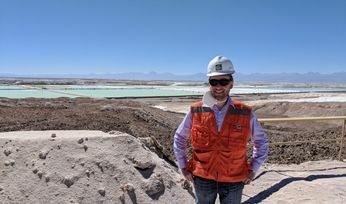 There is general acknowledgement across the political spectrum that mining underpins Chile's current and future prosperity, and that foreign investment is vital if the sector is to realise its full potential. Therefore, elections over the coming decade will not pose a direct risk in terms of political candidates running on openly anti-mining platforms. That said, the very centrality of mining to the economy means that the industry is liable to be targeted if governments wish to increase fiscal revenues in future. While there is no threat of this occurring under Piñera's current administration, the emergence of a ‘new left' under the auspices of the Frente Amplio (FA) could change things. Now the third largest political force in Chile, the FA wants to link royalty rates to gross production and the level of value added in-country - that is, the lower the added value, the higher the royalty. Our Chile Mining Report's 10-year outlook indicates that higher future copper prices would help drive popular support for such measures. Furthermore, political parties often respond to grassroots environmental and social activism by tightening regulations. Such activism rarely takes the form of disruptive direct action; instead, the country's strong institutional framework allows communities and civil society groups to present their grievances through official channels. Indeed, the environmental watchdog SMA was created in 2010 in response to a rise in social awareness about the environment. The body has tightened regulatory oversight and intervention, and with adequate funding and human resources at its disposal, will continue to demand higher standards from operators. Calls for greater environmental oversight are linked to a general push for improved living standards, which also include calls for more equitable income distribution and expanded public services. Lower copper price can hinder the government's ability to sustain social and capital investment. Future governments may face the dilemma of having to disregard voters' expectations, or give in to demands for increased taxation and expenditure, both of which carry indirect risks for investors - and mining operators. On the one hand, holding fast to Chile's historically conservative economic policies runs the risk of political and social unrest. 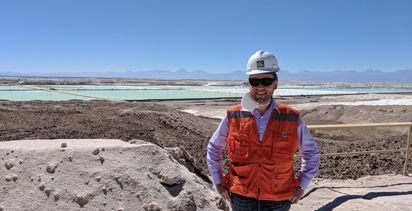 Alternatively, a more fiscally expansive, populist course might appeal to voters, but could - along with the other factors cited above - further undermine the future sustainability of Chile's mining sector. According to the scenario mapping in our report, the former, and more likely outcome would see rising unrest around unmet social demands, resulting in regular, protests in major urban centres. Experience shows that these would generally be peaceful. The second scenario involves far greater risks for miners in the form of heavier taxation. Any shift away from the country's longstanding economic orthodoxy would threaten the stability that has helped make Chile one of the region's most attractive investment destinations. Piñera's pro-mining reforms - the calm before the storm? The strong commitment by the Piñera government to regulatory and policy certainty will allow the country to reap the benefits of a copper price that appears to be on a broad trend of recovery, despite short-term drops. Indeed, Piñera will support competitiveness and productivity by reducing bureaucracy. A case in point is the decision in June to let the former government's Glacier Protection Bill fail. This removes a potential barrier to the development of 53% of Chile's unexploited mineral resources. For now, the mining sector's favourable short-term outlook will temper any longer-term economic and political risks in the country. However, the conservative government's focus on deregulation directly conflicts with the parallel aim, driven by advocacy groups, of protecting local communities and the environment. As such, periodic moves to streamline bureaucracy are likely to be countered by future administrations seeking to reduce drivers of social opposition to the sector. The emergence of a ‘harder' left means that contrary to the rest of Latin America, the amplitude of the pendulum's swing could increase in Chile - and with it, related moves to tighten regulation and increase the government's share in new fiscal terms. Verisk Maplecroft is a leading global risk analytics, research and strategic forecasting company offering an unparalleled portfolio of risk solutions.